BACKGROUND: As yet, whole-body cryotherapy is especially used for the therapy of chronic inflammatory arthritis. An analgetic effect has been described in several studies. However, only few data exist concerning the long-term effects of this therapy. PATIENTS AND METHODS: A total of 60 patients with rheumatoid arthritis (n • 48), and ankylosing spondylitis (n • 12) was analyzed. 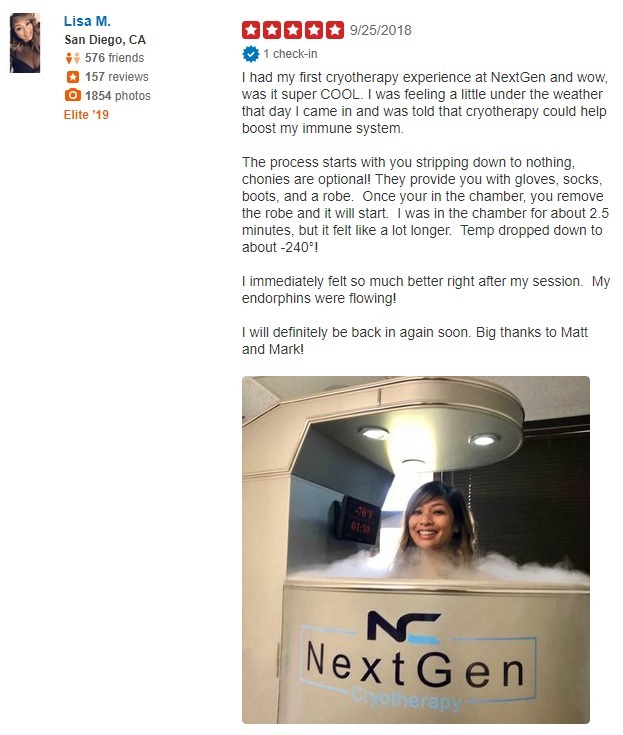 Patients underwent treatment with whole-body cryotherapy twice a day. The average age was 55.7 +1- 10.33. The study group consisted of 48 female and twelve male patients. The average number of therapeutic treatments with cryotherapy was 15.8 +1- 8.37, the average follow-up 63.4 +1- 63.48 days. RESULTS: 13 patients (21.7%) discontinued treatment because of adverse effects. For patients with rheumatoid arthritis, DAS28 (Disease Activity Score) and VAS (visual analog scale) were determined. A significant reduction of both parameters was found (DAS 3.9 +1- 1.22 vs. 3.4 +1- 1.08: p < 0.01: VAS 51.4 +1- 16.62 vs. 37.9 +1- 19.13: p < 0.01). BASDAI (Bath Ankylosing Spondylitis Disease Activity Index) was analyzed for patients with ankylosing spondylitis, and also showed a significant reduction (4.4 +1- 1.91 vs. 3.1 +1- 1.34: p • 0.01). CONCLUSION: Thus, whole-body cryotherapy is an effective option in the concept of treatment of inflammatory rheumatic diseases. The relief of pain allows an intensification of physiotherapy. A significant reduction of pain over a period of 2 months could be shown.